Rainy 日. 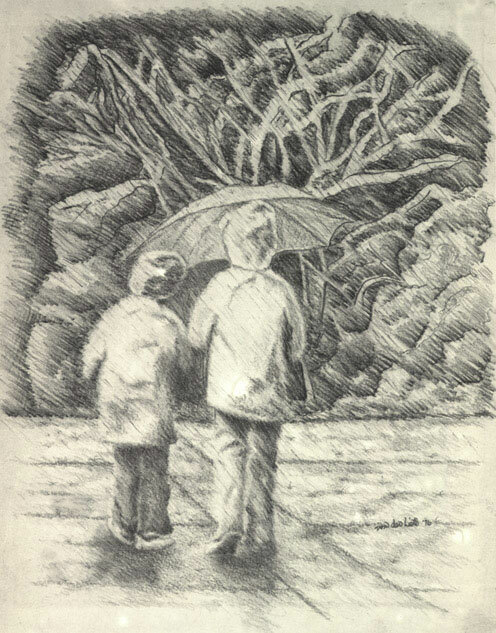 "Rainy Day" is a pencil sketch of the children, big brother and little sister, leaving for school on a rainy morning.. Wallpaper and background images in the Drawing club tagged: children drawing sketch art sketches boy girl people sister brother. This Drawing fan art contains 通り, 都市現場, 都市環境, ストリート, 都市, 都市設定, and 都市のシーン設定. There might also be パラソル, サンシェード, 日傘, ゴルフ傘, 小屋, wikiup, wickiup, ライフルマン, ライフルン, and ライフル銃兵.